If we take a look at the service of Swish, we will quickly notice its extreme popularity in Sweden. Since it allows to send anyone money, as long as you know their phone number, Swish becomes a commonly used payment method among Swedish citizens with more than 50% of the people within the country using it. Swish was launched in 2012 and its main idea was to allow easy transfers of money between individuals. Swish works with seven major banks in Sweden which include Danske Bank, Handelsbanken, Länsförsäkringar, Nordea, SEB, Sparbanken Syd and Swedbank and Sparbankerna. In just a couple of years, Swish started offering its service to merchants as well, which brought into light a brand new way for Swedish people to make fast mobile payments. It did not take long for online casinos to see the potential of this service, especially considering the fact that nowadays, the majority of players are making wagers on the go. This is why the service quickly become a payment option that Swedish players can use at interactive casinos. With plenty of innovations and services, Swish has turned into a great payment solution that Swedish citizens can enjoy. What is more, this is a great way to boost your gaming balance at some of the best virtual casinos tailored for Swedish players. Before you jump into Swish casino transactions, you must download the app of the service as well as the Mobile BankID. You will use the Mobile BankID to verify your transactions via Swish in a secure manner. All citizens of Sweden can request a BankID from their banking institutions and they can use it to easily log into their online banking account. You must be a client of one of the seven Swedish banks that work with Swish in order to be able to use the service for boosting your gaming balance. The same applies to the virtual operator you are making deposits to. It should also have an active bank account at one of the seven Swedish banks that work with Swish. The mobile app of the service is available for Android, iOS and Windows Phone users which means that virtually anyone with a smartphone can install and use the payment application. It is possible to switch between several bank accounts on the Swish app, however, you have to use a different phone number for each one of them. The Swish app can be used for payments at stores, as well as at online merchants. This also includes virtual casinos where Swedish gambling fans are playing. In order to make fast and secure deposits at your preferred gaming website, you will need to follow a few simple steps. You should open an account and provide your Mobile BankID when creating your casino profile. Then, head to the Cashier and select Swish from the deposit options. The next step is to select the button that says “Input” and that will prompt you to open the Swish application on your phone. You will need to check whether the recipient of the deposit is the right one, as well as the amount you are transferring. After that, you should verify the payment via Mobile BankID. There is also the option to save certain recipients under Favorite which will enable you to send money to them without entering their phone numbers every time. Deposits carried through Swish are instant which will allow you to make real-money bets right away. What is more, the fact that you are verifying transactions with Mobile BankID makes the payment process extremely safe. The only thing you need to be sure of, before making casino deposits via Swish, is that you have a sufficient amount in your bank account. Otherwise, your transaction will not be processed. One of the newest features that Swish is offering is creating and scanning QR codes. This would mean that if you wish to make a payment at an online merchant, which can also be an interactive casino, you can simply scan the QR code that the merchant has provided. This will spare you entering any transaction details and you will only have to verify the payment via Mobile BankID. Unfortunately, the payment service of Swish can be used only as a deposit option at online casinos. This would mean that players will have to look for other banking solutions when they want to cash out their casino winnings. For the gambling fans, there are several advantages of using Swish. The first one is that it allows instant deposits which enables casino members to make real-money bets on their favorite casino games right away. This is a great perk since there are some deposit methods which may take longer to boost your gaming balance. The other positive feature of Swish is that it requires the players’ Mobile BankIDs to verify transactions. This ensures that the payment option is extremely secure and will protect its users while uploading funds to online casinos. What is more, Swish works with seven of the biggest banks in Sweden which proves that the service is very trustworthy. The hassle-free payments that Swish provides can also be considered as a strong side of the service. The fact that the application is available for Android, iOS and Windows Phone users allows as many players as possible to use it for their casino deposits. The mobile application is available in all respective app stores and can easily be downloaded and installed on your smartphone. While some payment options may not make you eligible to use the promotions of the casino, depositing via Swish will not cost you bonuses. If you opt for uploading funds to your casino account, you will also be able to claim the various promotions virtual casinos have in store. The fact that you will not be allowed to make a deposit to a virtual casino via Swish, unless you have enough funds in your bank account, is also a great advantage. While payment methods such as credit cards are not the best option for players who cannot manage well their bankrolls, Swish allows you to have a certain control over your spendings. Since you can spend only the money you have available in your bank account, you cannot overspend and deposit more than your available balance. Another great thing about using Swish at an online casino is the fact you will not have to pay any additional fees to the casino. Having a budget-friendly payment option is definitely a perk that every casino devotee would appreciate. Even though Swish is a great banking solution for casino players, it still has some lacking points that may lead to you choosing an alternative payment method. The first one is the fact that the company works only with seven Swedish banks. Although they are pretty major banking institutions, there is still the chance that you cannot use Swish due to the fact that your bank does not support the service. What is more, the service of Swish is available to Swedish citizens. This leaves behind numerous casino members from other parts of the world. There is also the inconvenience that Swish can only be used for deposits at online casinos. This leads to choosing a different payment solution whenever players want to withdraw their casino funds. This can be an issue for those who prefer to utilize a single method for all their payments. The great thing about Swish is that it will not cost you anything to use the app. On top of that, sending or receiving money via the app is absolutely free of charge. In addition to not paying any surcharges to Swish for using the payment service, most of the interactive casinos that accept payments via the service also do not impose any fees. There are often payment options at virtual casinos which will cost you some fees, often imposed by the casino itself. Sometimes, even if the casino does not charge any payment fees, players’ banking institutions may have them pay some surcharges for making payments at online casinos. Thankfully, however, Swish users do not have to pay any fees for using the app or topping up their gaming balance via the app. The banks which work with Swish do not charge their clients for using the service as well. 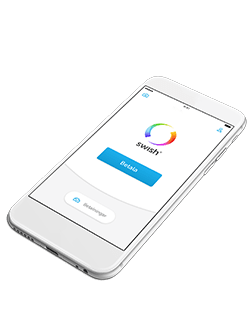 In fact, the only instance when players might have to pay some additional charges is if they are using their Swish app for payments while being abroad. This applies to cases when one’s mobile subscription does not include free data use outside Sweden. When you are playing for real money online, the last thing you would like to do is to wait for your funds to be available. This is why it is a good idea to opt for deposit methods that will allow you to boost your casino account immediately. Since Swish accommodates fast payments, players can be sure that they will be able to top up their gaming balance instantly. That will allow them to play on their favorite casino games right after they have made their deposit. The reason why uploading funds via Swish is so fast is the fact that the process itself is very simple. The only thing you have to prepare in advance is to download the Swish app on your phone and connect to your bank via Mobile BankID. When you initiate an upload of funds via Swish, the only thing you need to do is authenticate the transaction via your Mobile BankID. Considering the fact that Swish is a mobile-based payment solution, it is only natural that it can also be used at mobile casinos. Since many players enjoy making wagers even on the go, they need a convenient deposit option that allows fast and secure payments. If you have accessed a casino website through your mobile device, you can be sure that the depositing process will be the same as the one on your computer. As long as you are logged in your casino profile and you have saved your BankID, you will be able to upload money to your gaming account via Swish. Players who are gambling on the move will have to go through the same process of choosing Swish as their preferred deposit method, enter the amount they wish to upload and tap on the button “Input”. This will redirect them to the Swish app where they will have to verify the transaction by using their Mobile BankID. Even if you are enjoying your casino time while you are commuting or going around, you can be sure that you can easily boost your gaming balance with Swish. The payment is designed to help players make instant transactions with a few taps on their phone screen. You may be wondering if your money is available with a few taps on your smartphone, how is this a secure method. The main reason why Swish is considered a very reliable payment method is the fact that it requires players to authenticate their payments via Mobile BankID. You can consider Mobile BankID as your digital ID which will allow you to log into your personal bank account. This is a feature which is utilized with the idea of preventing anyone else logging into your Swish app and authenticating payments without your knowledge. In addition to the Mobile BankID that is used for verification of Swish payments, it is also possible to use the Touch ID or Face ID features of iOS devices. That is, only if your banking institution has decided to accept these features as valid authentication measures. What is more, Swish works only with major banking institutions in Sweden. This proves that the service is very trustworthy and you can always rely on Swish when you wish to transfer your money in a safe and trustworthy manner. Although Swish helps you to make deposits from your bank account, it acts just as a mediator between your bank and the virtual casino where you are making deposits. This would mean that your bank details will not be shared with or saved by Swish and neither will any third party be able to see them. 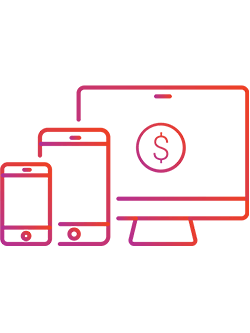 What Apps Does One Need to Use When Depositing via Swish? Before you resort to casino deposits via this service, you will have to install both the Swish and Mobile BankID apps on your smartphone. After activating your Swish app, you will be asked to connect to your personal bank account, using your Mobile BankID. How Can You Get a BankID? As long as you have an account at a Swedish bank, you can acquire a BankID which will cost you nothing. This feature is used so that you can easily sign documents and confirm transactions online and be sure that no one else will be able to take advantage of your personal funds. You can also ask your bank for a Mobile BankID which will help you to authenticate payments on your mobile devices. This is also used when you make Swish payments. What is the Minimum You Can Transfer via Swish? The payment limits that apply to transfer funds via Swish depend on the limits that have been set by your bank. You can simply change your bank account setting by logging into your online or mobile banking which may allow you higher transfer weekly limits via Swish. Meanwhile, the deposit minimum you can make at virtual casinos via Swish also depends on the casino itself. This is why it is a good idea to first check the deposit limits of the website where you plan to play for real money. Can Swish be Used When Abroad? Yes. You can still make transactions via Swish even if you are outside of Sweden. However, there might be some additional charges from your mobile subscription operator due to data traffic. How Can You Be Sure You are Sending the Money to the Right Receiver? When you enter the name of the payee and the amount you are transferring, you will have to verify the transaction with Mobile BankID. This will show both the name and the number of the recipient on the screen. If the details match the information the receiver has provided, you can be sure that the money will be sent to the right payee.